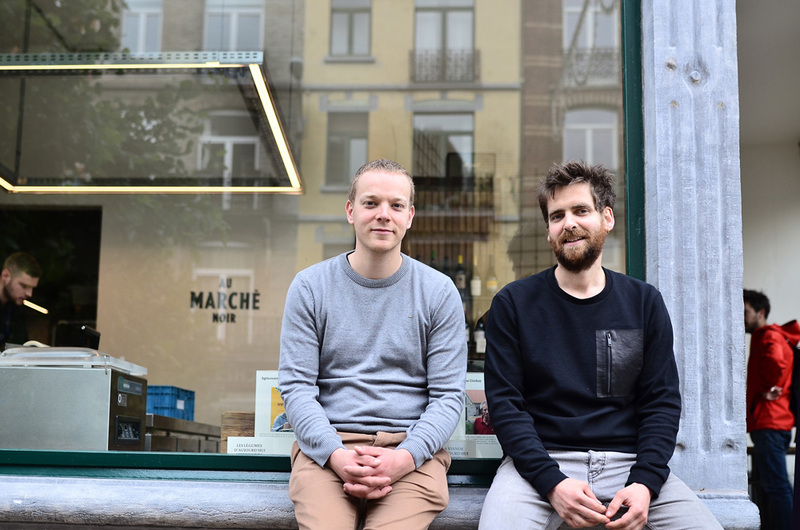 Martin and Jérôme are the founders of Au Marché Noir, a restaurant and takeaway based in Brussels working with local farmers and offering different organic, slow food dishes every day. 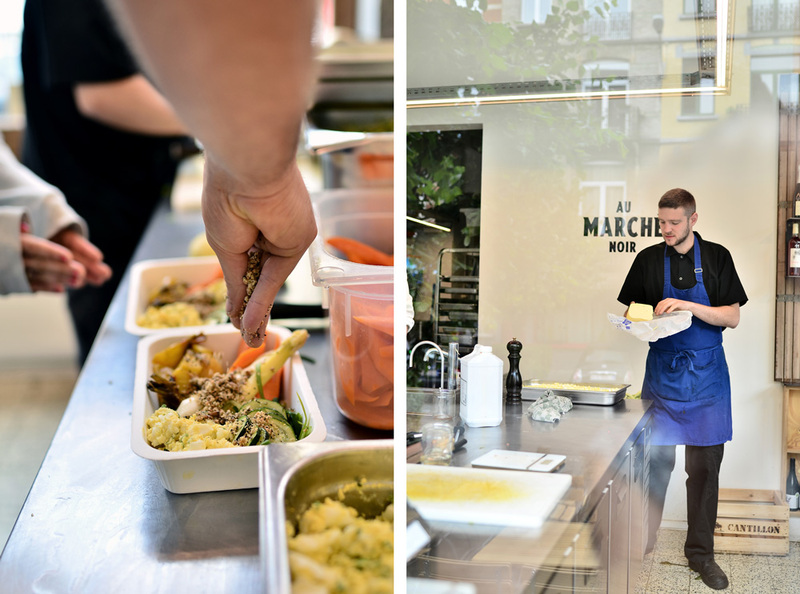 We talked with Martin and Jérôme about what made them start this unique food project, the producers they work with and their views on where the biological food industry is heading. 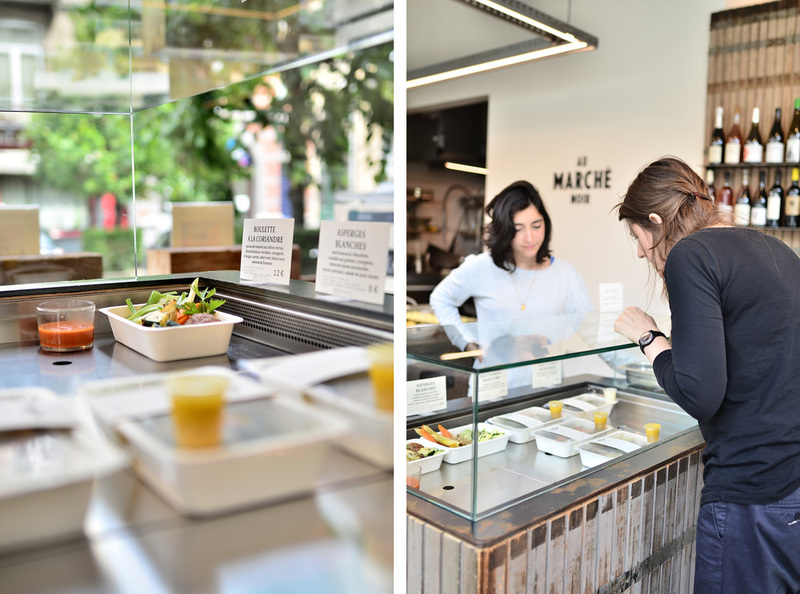 How did you meet and how did Au Marché Noir start? Were you always interested in cooking? 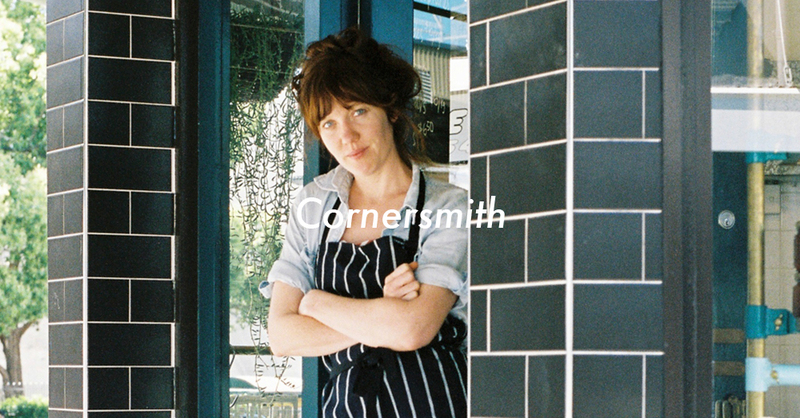 Martin: In my previous job I was usually working late and I didn’t always have the time to cook. There is a common point between takeaway restaurants (burgers, fries, sushi, pizza, thaï…): you have absolutely no idea where the ingredients come from and how they are grown. In Belgium, a little country, there are more than 1200 organic producers but it’s really hard to find their meat and vegetables in the city. I wanted to use their ingredients in takeaway food at affordable prices, so I launched an open call for a chef through social media. Jérôme: And I contacted Martin as I had been thinking about the same idea. In my daily life, I was cooking with organic ingredients for my girlfriend and my daughter and I didn’t understand why, in my professional life, I wasn’t cooking with the same quality ingredients. I always had the feeling that my boss wanted me to give less quality to the final customer, but I wanted to cook real quality food at affordable prices. 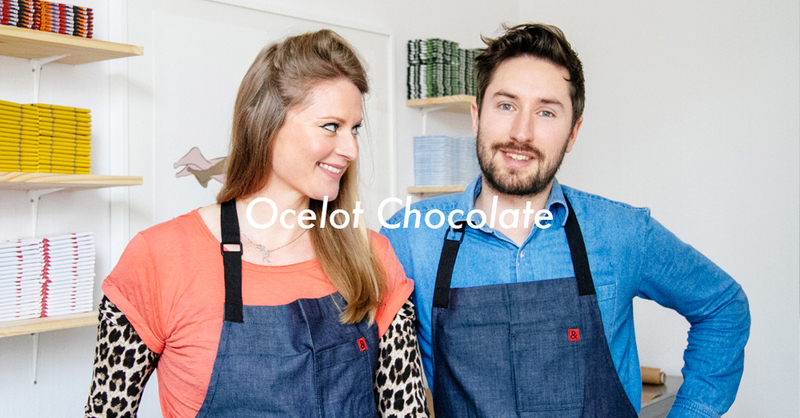 When I met Martin, we clicked instantly and we went on a road trip to meet local producers. It’s really hard to predict what’s gonna come out of the field or what the producer will be able to bring to our restaurant. When I was child, I began cooking with the ingredients that were available in the fridge so we decided to do the same: I cook whatever the producer is able to bring! 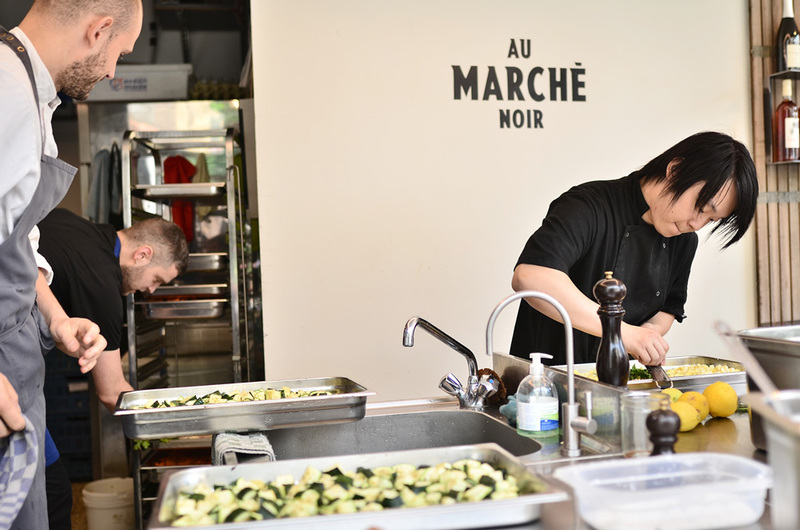 What are your responsibilities at Au Marché Noir? Jérôme: I’m the chef and I’m responsible for all the meals. Now, after a year, we are 5 in the kitchen. 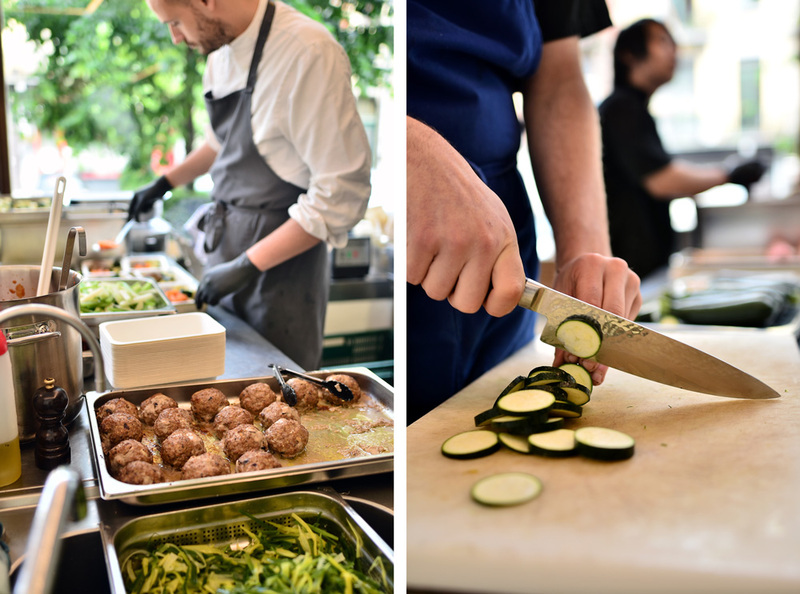 Some of them are apprentices without kitchen experience and we train them during 6 months in sustainable cuisine. Since March, we have been open 7 days a week. I’m not there every day so we have other chef who is also able to create meals with the fresh produce that the farmers bring to us. We are working hard to keep a constant high quality food offer. Martin: I’m in charge of everything else so the chefs only have to worry about what happens in the kitchen. I try to educate about the characteristics about the farmers we work with. They all run small, ‘human-size’ farms where they even grow the food they feed their animals so it’s really interesting. We spend lots of time selecting and curating the produce and ingredients we use in our recipes and also the natural wine and special beers that our customers can enjoy. This is something our staff needs to be familiar about so they’re able to communicate it to our customers. 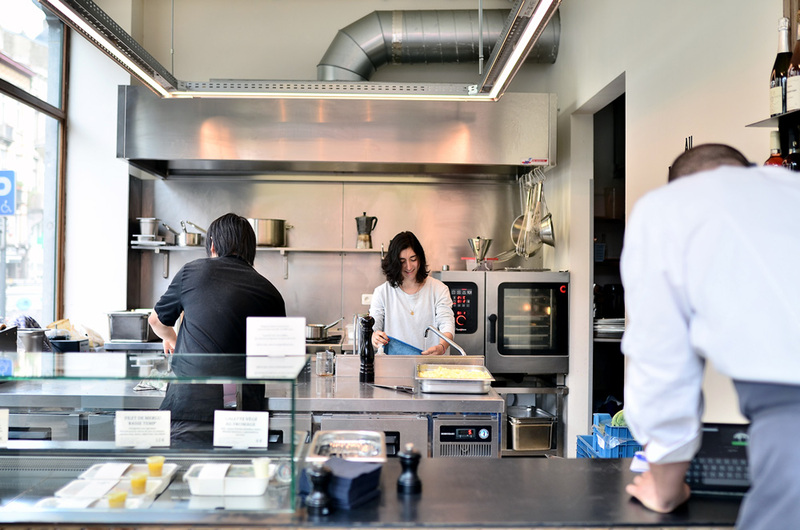 Your business is built around ‘slow food’, how would you define this concept? Why do you think the ‘slow food’ movement is becoming increasingly popular? Jérôme: Slow food is good, clean and fair. Good means that you get pleasure from eating something. For us, that’s the most important thing: a dish has to make you excited by the idea of eating it and being actually good. Clean means that the ingredients were grow without any use of pesticide. Pesticide is what chemical weapons during WW2 were made of and we think that it’s pretty bad for human health and that consequences will be dramatic. And fair means that we don’t exploit farmers, asking them for low prices like supermarkets do. We pay the price they ask for and we pay our staff a normal salary. Martin: As a customer, things are currently pretty dark regarding the origin of ingredients and you have no information about their growing conditions. If nothing special is written on the packaging, you can be pretty sure that your vegetables come from a far away huge farm using lots of pesticide. But being at your door doesn’t mean that it’s good: you really need the combination of local, organic and small to get the best quality in the world. We try to build a relationship with our customers, explaining where our products come from and who the people behind them are. Please tell us a little bit more about how Au Marché Noir works. Martin: We think that real fresh ingredients are better in taste and nutritional values, so we want to use vegetables as fresh as possible, with an ideal: in the field in the morning and in the dish during the day. Our objective is to get a daily delivery. We are working with different farmers, all organic, giving priority to permaculture or biodynamic agriculture. Could you tell us about the different local producers you work with? How did you find these producers and establish relationships with them? Martin: We don’t come from the agricultural sector so we didn’t know any farms when we started. We met experts as BioWallonie, GASAP, Nature & Progrès, Slow Food, Kokopelli… These are specialist organisations. We asked them for advice on farmers with similar values we could collaborate with. We wanted short food supply chains and we received around 40 names, and went on a road trip to meet them. We discovered amazing people. Jérôme: For example, Marie-Claire from the Ferme de Stée. She comes from several generations of farmers and used to work as a conventional farmer, using the pesticides someone told her to use. One day, she decided to stop. She wanted to understand what she was doing and she had to start from scratch, learning new things completely different to everything she had learned. Today, she’s really happy with her choice. Also Karel from Ouroboros, 40km away from Brussels. Karel works with his wife in a biodynamic way. He comes every week to Brussels to participate in a market and GASAP, a customer alliance. His vegetables are so good! It’s impossible to compare them to the ones you find in the supermarket. Each day you offer two different dishes. How do you decide or come up with what to serve? Jérôme: Every week the farms send us their offer in terms of which ingredients they think will come out of the field. I know the days each farmer comes to Brussels, so I place our order based on that. Some farmers deliver the vegetables, some deliver the meat and others the dairy products. We also have dry organic food in our cellar. Every day, at 8am, we analyse the ingredients, what we did the previous days, the weather, and the day’s mood. Based on that, we prepare the 2 daily meals. There is always a veggie option as well. How do you see the biological food industry evolving in the next few years? Martin: The organic certification is the only way to be sure there are no pesticides involved when growing ingredients. Nowadays a lot of people say that they work without pesticides but it’s really hard to be sure about it. We use the certification as a starting point that we combine with the fact of knowing where our ingredients come from and knowing the farmer, and appreciating the taste of their produce. Our customers like it and we hope that all customers will be more aware of these things in the next few years. Today, you can’t only trust someone telling you that they’re cooking fresh, seasonal, local ingredients; you have to go one step further. 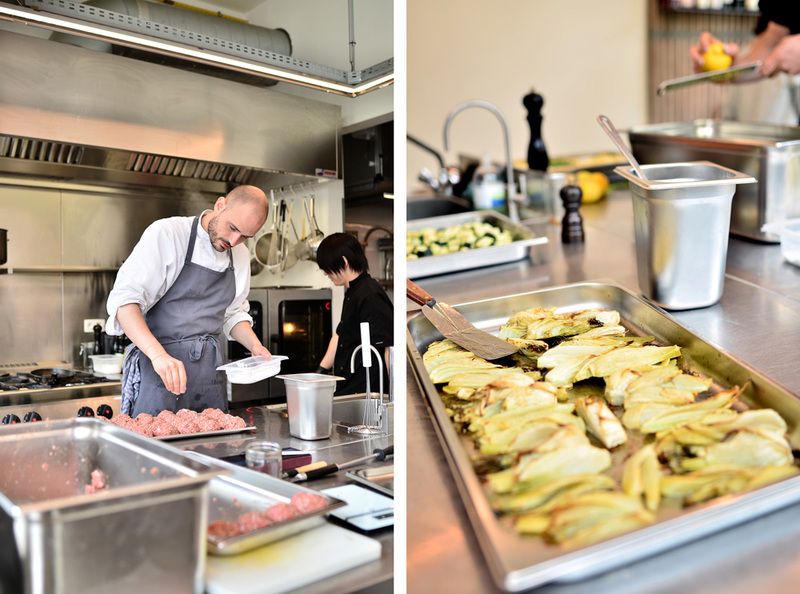 Tell us a little bit about the food scene in Brussels, what can visitors find? Jérôme: Brussels is not only mussels and fries. 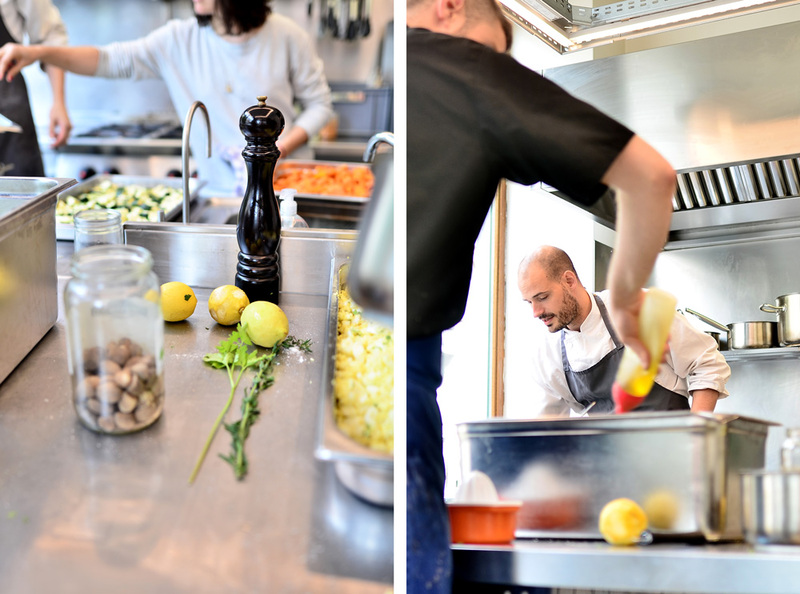 In the past few years, nice affordable initiatives focusing on the quality of local ingredients have become popular, like the Garage à Manger, which is a restaurant opened by a successful food truck, El Camion. There is also Les Filles, offering very nice all-you-can-eat menus. Henry & Agnès is also a concept founded by young people with organic products, such as Prelude, our neighbours. Crab Club is a restaurant opened by a guy who made Brussels feel excited about a restaurant in which all the dishes contain mushrooms, Le Café des Spores. 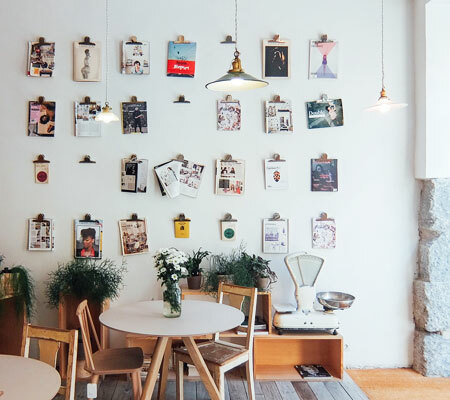 It will still take some time for most restaurants to join the slow food movement but there’s definitely something happening. 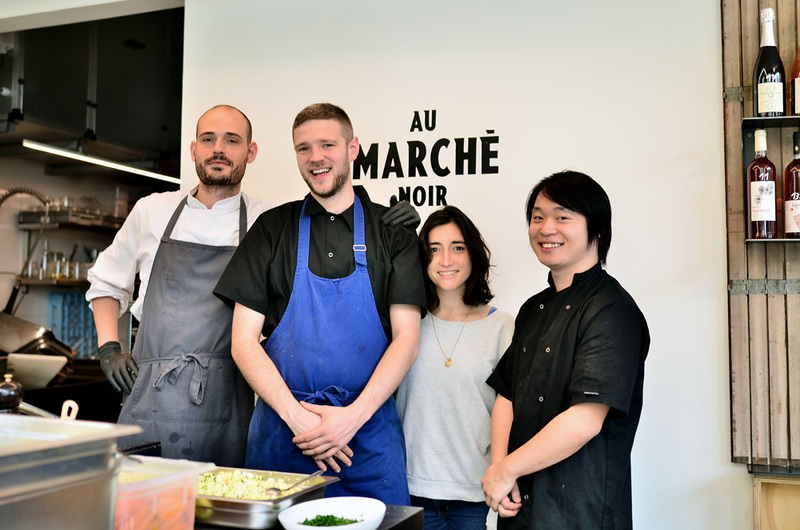 What are Au Marché Noir’s plans for the upcoming months? Martin: We want to optimise our organisation. We have grown pretty fast since our opening 1 year ago (there was only 2 of us and now we are 8) and we would like to spend some time doing things well. We would like to establish a program to optimise our use of raw materials and to reduce our waste to the maximum. 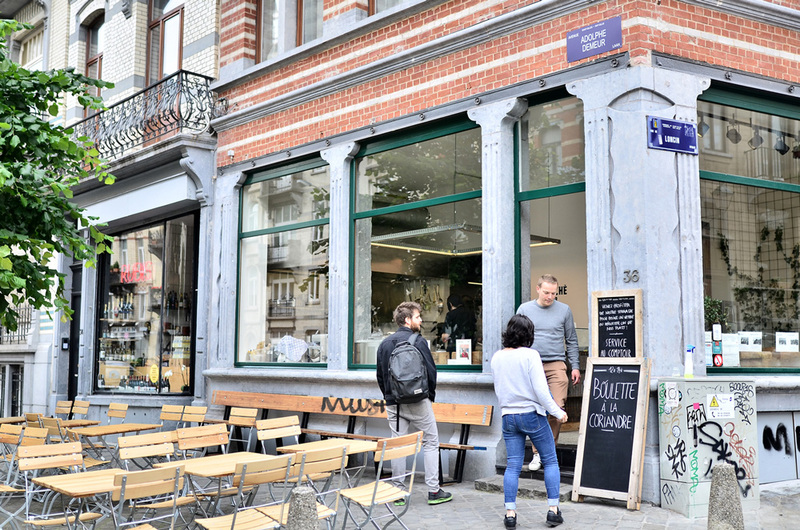 Could you share a list with some of your favourite places in Brussels? Jérôme: Cantillon is a legendary beer brewed in a mystical place that you can visit. The beer is also available at Moeder Lambic, close to us, which is the best beer bar in the world. 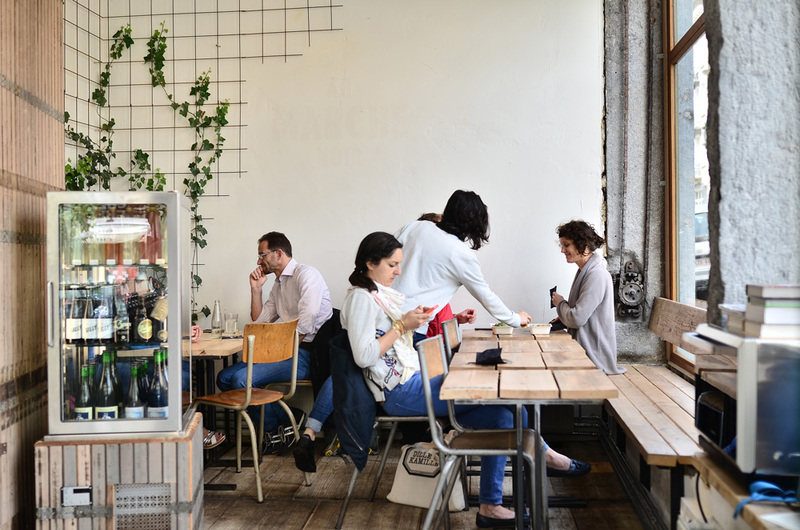 La Belladone, also in Saint-Gilles, is a nice place to have a drink in a wonderful atmosphere. La Buvette is a wonderful restaurant in our neighborhood. 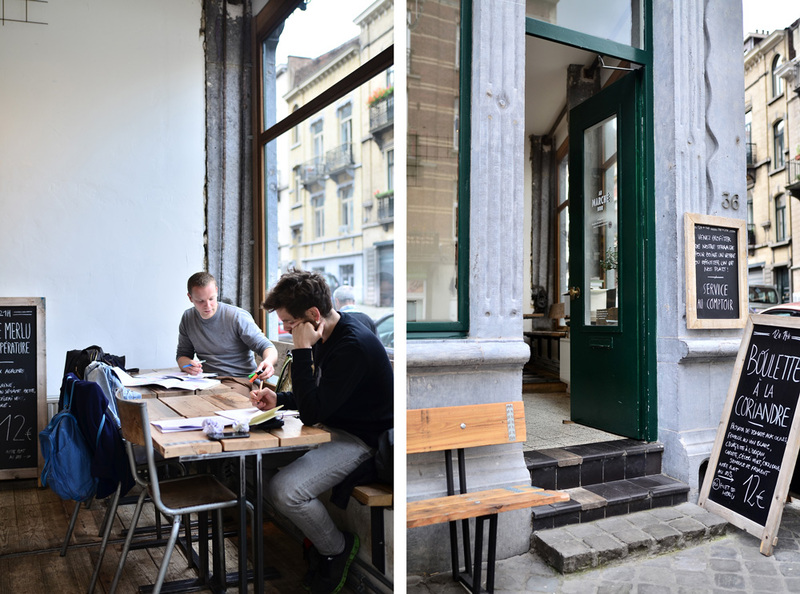 In Molenbeek, the Phare du Kanaal is a relaxed co-working place with a place to eat and drink. Nicolas Arnaud, in Ixelles, is the best pastry cook in Europe. Atelier Claus, for the music scene. And Laurent Gerbaud is the best chocolate maker ever!